Finding a match, though, has turned out to be the hardest part of Smith's education. In each of the three years since graduation, he has spent about $5,000 applying to more than 100 residency programs. He's gone on several interviews each year but has yet to match with a hospital. Each year, the National Residency Matching Program gets about 35,000 applications from medical school graduates who are trying to finish their training. 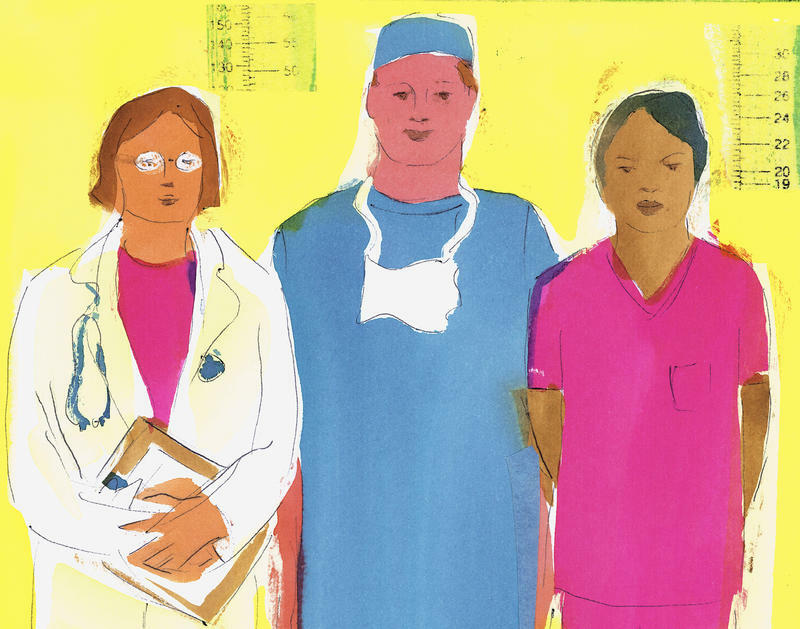 More than 8,000 of them don’t match with a residency program. Roughly 70 percent of those who did not match were graduates of international schools. Many, like Smith, are U.S. citizens who study abroad. The problem is compounded by Florida’s lack of residency slots. 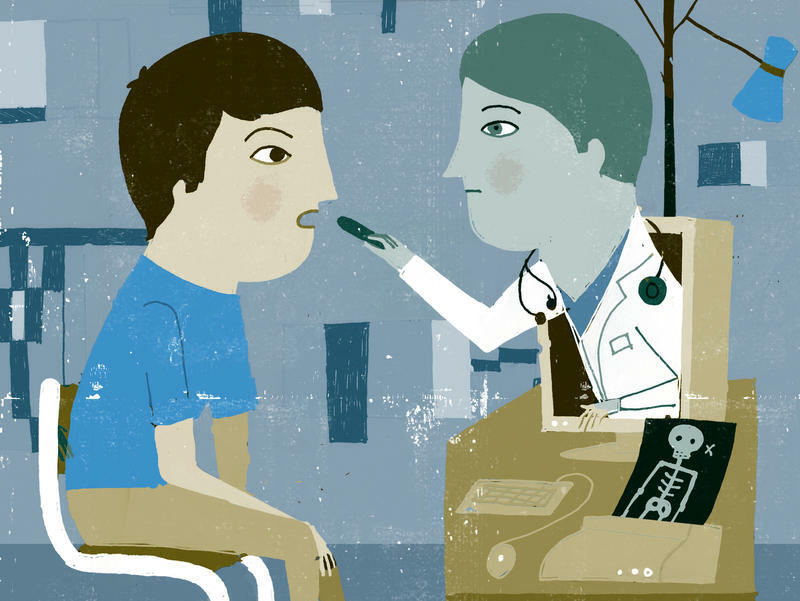 This year, for example, New York offered about 1,500 residency slots in internal medicine. In Florida, there were just 482. The state has offered incentives to create more residency positions, providing $80 million in recurring state and matching funds in 2013 to create a program which funds more than 4,500 residency slots. In 2015, legislators provided $100 million to give hospitals a $100,000 bonus for every residency slot created in a needed specialty. A report last year showed that Florida hospitals have increased the number of residency slots by 19 percent since 2013. But the state will have to do more to overcome a projected shortage of about 7,000 doctors by 2025, medical officials say. New medical schools have opened and existing schools have expanded to meet the coming demand. But that has created more applicants for a limited amount of residency slots. And for each available slot, a program may have hundreds or even thousands of applicants. "Something has to be done to not lose doctors who are fully trained and they don't have any options. Something has to be done,” said Dr. James LaPolla, a gynecologic oncologist in St. Petersburg and the former residency director at Bayfront Health St. Petersburg. He says it will take both state and federal legislation to increase residency slots. That's because residency positions are funded, in-part, through Medicare, and in 1997 the federal government capped the number of residents supported at existing teaching hospitals. Earlier this year, Sen. Bill Nelson filed a bill to create 15,000 new Medicare-supported residency positions over the next five years. But lawmakers have shot down similar proposals in the past. LaPolla thinks there is another option. He wants lawmakers to create a position, called an assistant physician, for medical school graduates who don't initially match. These assistants could work under the licensure of a doctor at VA hospitals where there is a need for more physicians, LaPolla said. The graduates would get a chance to build their resumes while they wait a year for the next residency matching period. "This is not an internship. They are not going to be able to get a license from this," LaPolla said. "But they at least have a license to work under the licensure of a doctor and can earn a living." 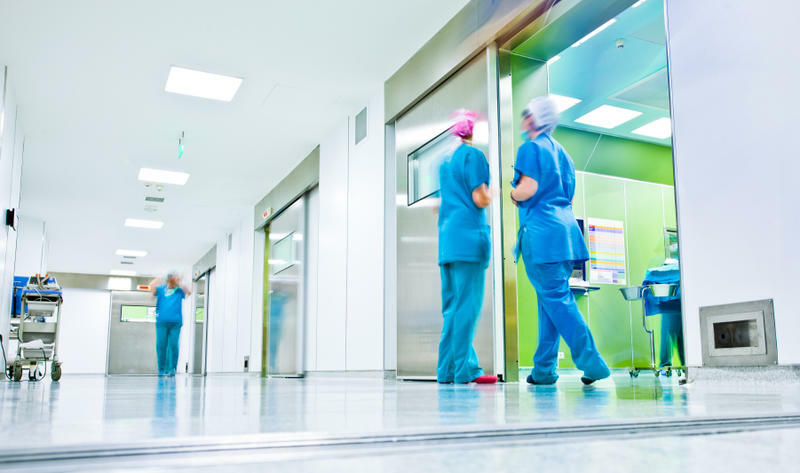 HCA Healthcare is working to bring more residency positions to Florida and other parts of the country by turning its community hospitals into teaching hospitals. Dr. Fred Schiavone, who heads the company's graduate medical education program in West Florida, says starting new residency programs at these hospitals takes an initial investment. "That investment can be anywhere from several million to even above $10 million for a hospital to really build the program depending upon the specialties that they need to create,” Shiavone said. In the next five years, HCA plans to expand its residency positions in Florida from 767 to 2,115. The for-profit hospital chain received some state incentives for some of the new residency positions. All of the positions will become eligible for federal funding once the programs have been in place for five years. The new positions will help Florida gain some parity with other states that have far more medical residency programs. Dr. Alberto Marante saw that disparity when applying for residencies throughout the country. After completing his rotations at hospitals in the Northeast, Marante, a Tampa native who grew up in West Palm Beach, applied to every pediatric residency program in Florida. He received several interviews but got no bites in his home state. “I think Florida is a little bit behind the times when it comes to residency spots," said Marante, who graduated from American University of Antigua, a Caribbean school that saw 88 percent of its graduates match in residency programs this year. After completing his residency in New Jersey, Marante returned to the state and accepted a position at Florida Hospital in Orlando. But Marante is an exception. Dr. Neal Simon, president of the American University of Antigua, says studies show doctors tend to practice in the state where they do their residencies. "It's really a very small investment to establish residency positions that will then further help remediate the physician shortage problem," Simon said. His university has even offered financial support and expertise to help hospitals establish residency programs, Simon said. The Association of American Medical Colleges is in favor of using federal funds to create more residency slots, but not everyone agrees. 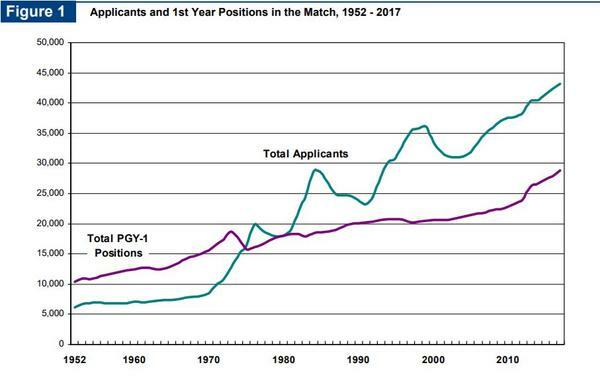 A 2015 study published in the New England Journal of Medicine says that a steady rise in the number of residency programs funded by hospitals as well as other state and federal programs is enough to meet the demand of qualified applicants. The study indicates that doctors who do not initially match may focus too narrowly on a specialty or location. “The primary goal of public (graduate medical education) support, it should be noted, is to produce trained physicians to meet the country's health care needs and not to fulfill the personal preferences of individual graduates for the specialties of their choice,” the study says. As for Michael Smith, he will try to match again for a fourth time next year. But his dream of becoming a doctor is fading as his odds of matching seem to get slimmer every year. In the meantime, he’ll support his family by working in a research job.